The Vine for iOS app has been updated to version 1.3 with several new features and improvements including a newly redesigned camera. You can frame shots which makes it easier for you to do animations, focus on your photos and you also have a grid for your camera. 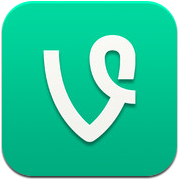 Do you think the newest Vine for iOS update makes it a better competitor for Instagram with video? Share your thoughts below.